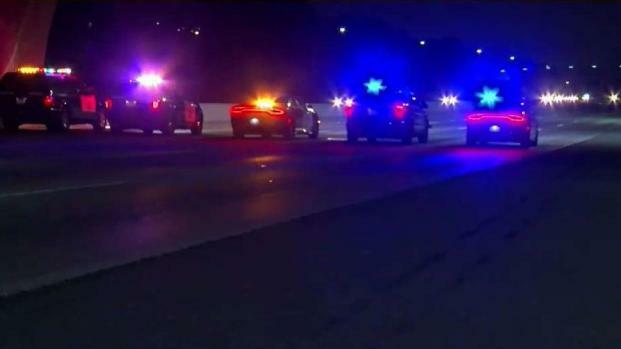 Police are searching for a suspect and a motive after someone started shooting at another driver early Thursday on Interstate 680 in San Jose. Robert Handa reports. Police are searching for a suspect and a motive after someone started shooting at another driver early Thursday on Interstate 680 in San Jose. The California Highway Patrol shut down northbound lanes on the freeway from Capitol Expressway to Berryessa Road before 3 a.m. while police investigated the shooting. Police said the victim was hit in the shoulder, but managed to drive to a nearby strip mall and called police. A woman was also in the vehicle. She was not injured. 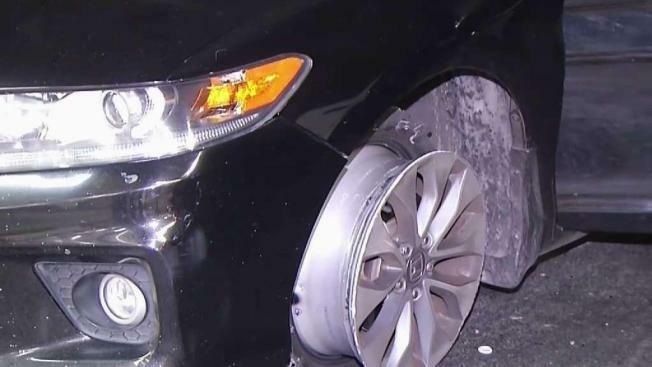 The man's black Honda Accord had at least five bullet holes in it, including a blown out tire, police said. The victim told police he has no idea why someone would shoot at him. orthbound lanes of Interstate 680 from Capitol Expressway to Berryessa Road in San Jose were closed Thursday morning as officials investigated a shooting, according to the California Highway Patrol. Bob Redell reports. "The driver and the passenger both did not have any information or any details about the suspect vehicle," CHP Officer Ross Lee said.